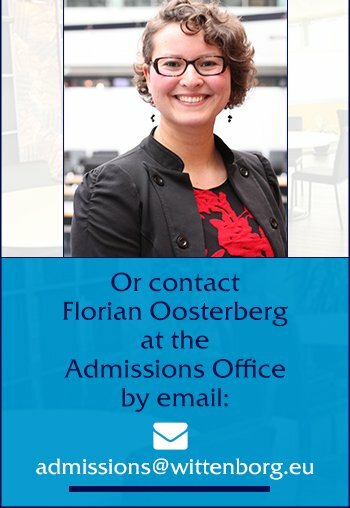 The Wittenborg Master in Business Administration degree programme is aimed at providing graduates with the skills and competencies to fulfil management positions in the field of business administration, both in the public and private sectors. A primary aim is that students will be able to analyse and evaluate critically the various developments within an organisation so that they can form, create and instigate policies, visions, aims and solutions within that organisation. From an international perspective the students should learn to analyse the environment they find themselves in, and adapt their behaviour and role according to macro and micro environments. Studying with an online gamified MBA, students will experience an advanced approach to online learning unique in its development, learning and delivery. We place great emphasis on applied and fun-filled learning, complementing high quality academic content with technical support. Our focus on a practical and unique way of education ensures that students can learn more efficiently, effectively, and enjoyably. As a part of its School of Business, the programme Bachelor in International Business Administration (IBA) is offered in English to both International and Dutch students in 7 different fields of specialisations. The Bachelor IBA is a 240-credit programme conforming to the Dutch national requirements and European standards. The programmes are designed to be flexible, allowing students to study at their required pace, as well as allowing students to adapt the practical components of their study (work experience) to the opportunities offered. The programmes are offered in 3- and 4-year tracks, the 3-year track can be followed in the 3-yearly planned phases, by highly motivated students. Wittenborg also offers a bachelor's programme in Entrepreneurial Business Administration (EBA). The Bachelor EBA is also a 240-credit programme conforming to the Dutch national requirements and European standards. Just like the IBA specialisations, this programme is also offered in 3- and 4-year tracks, the 3-year track can be followed in the 3-yearly planned phases, by highly motivated students. An entrepreneur in business can fulfil two main functions: the driver of new business ventures (entrepreneur), or the driver of innovation and change within existing business (intrapreneur). The profile only essentially differs between these two roles in the requirements of the level of ability to take risk and aptitude for taking opportunity. Both the ability to judge risk and being aware of opportunity are competencies required at both ends of this profile’s spectrum. Wittenborg believes that business administration programmes should allow students to develop their skills and competencies in the business fields and professions that suit them best from the foundations of a broad and comprehensive base of general business knowledge. At regional, national and global levels the employability of business people is enhanced by the broad skills and competencies they learn on business administration programmes, and the EBA adds a valuable entrepreneurial and international dimension to this. Business administrators are required to have a broad knowledge base, that encompasses all the domains of business: marketing, management, communication, information and finance, and if these can be combined with hands-on skills and competencies of sales and lead management, leadership, motivating teams, strategic thinking, and multi-tasked focusing, then business people are able to enter professions either as managers and process administrators, as well as independent leaders, entrepreneurs, or supporting so-called “intrapreneurs”.